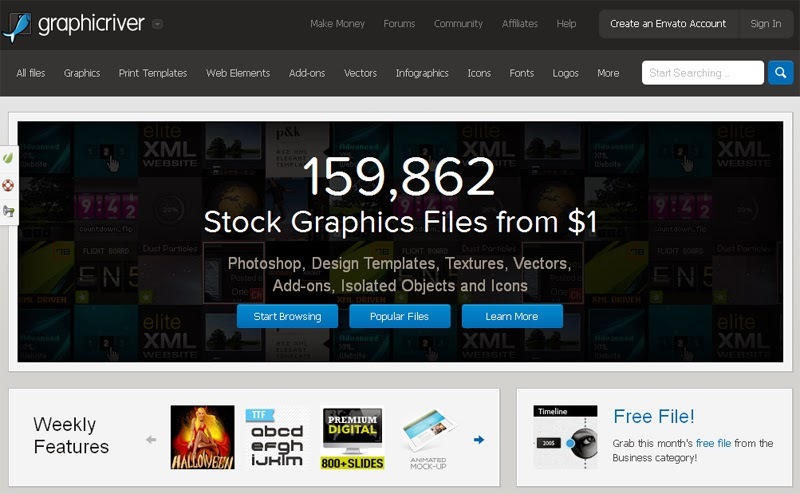 Lets explore a design related marketplace where you can sell graphics designs to make money. There are no deadlines, no requirements gathering or such thing. What matters is your work - original and quality. Before your imagination takes over, lets remind you that Graphicriver staff is too picky about what get accepted. All they want is superior quality designs. They basically accept work that follows a standard design procedure which is easy to modify and flexible to use. There are thousands of designers flocking to sell their designs on GR and Buyers who constantly look to buy quality designs at a price set by Graphicriver. Like I said, GR is very picky about designs and not everything that you submit will be accepted. Be ready for rejections and recorrections. Remember Graphicriver is filled with thousands of unique and quality designs so its very obvious their staff won't entertain low quality work or duplicate content. Read the website guidelines and rules carefully. Submit only the best designs. Navigate through all the categories and top designs to see what makes them unique. Have a standard work procedure while creating photoshop files - e.g. grouping layers. As an author you get 70% of the sale price, remaining 30% goes to GR. If you check the profiles of top authors, you'll notice that they target specific categories and focus on them. These guys have earned in excess of million dollars, why I called it a paradise. Of course, it requires hard work and patience to reach that level. 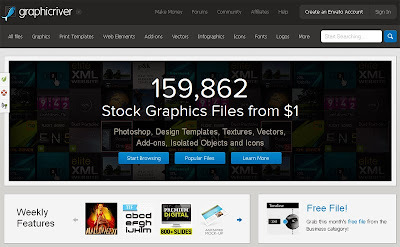 How to sell on Graphicriver? Firstly, create an account by signing-up on GR which is free. Update your profile information. Next, you'll be asked to take a test related to marketplace rules(pretty easy) which can be attempted multiple times. Start uploading designs (Photoshop files, Textures, Vectors, Icons, Logos etc) and wait for approval. Once approved you're set to roll some cash. The credits earned can be withdrawn via Paypal, Wire Transfer, Payoneer and Skrill after reaching the minimum payment threshold.